Melbourne has been chosen as the first city in Australia to welcome a new global hotel brand with a focus on sustainability. The 1 Hotel brand was developed by the founder of Starwood Hotels, Barry Sternlicht, and real estate fund manager Starwood Capital. Launching in 2015, the hotel concept was based around sustainability, the environment and wellness, with the opening of the first 1 Hotels in Miami, followed by New York, Brooklyn and Los Angeles. 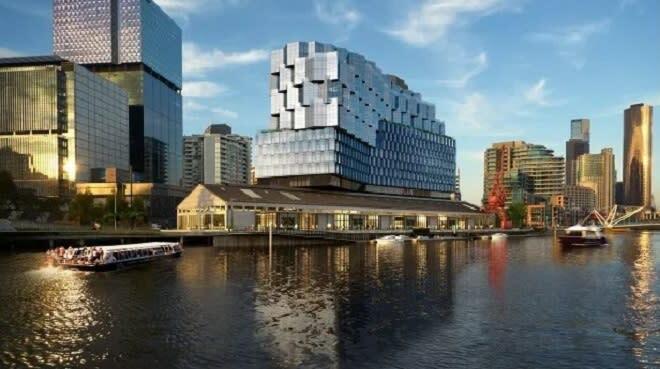 The 280-room Melbourne hotel will open in 2022 as part of developer Riverlee’s Northbank project on the Yarra, which includes 140 apartments above the hotel and restoration and repurposing of the historic No.5 Goods Shed as a 1000-seat function centre. 1 Hotel Melbourne will also incorporate reclaimed and recycled local materials in its design and will be operated by SH Hotels & Resorts (an affiliate of Starwood Capital) under a long-term management agreement with Riverlee.